Memories of what a magnificent player Coffey was. Memories of a day that revealed the first crack in the Oilers’ dynasty. 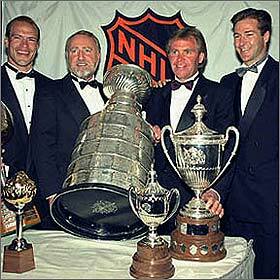 And memories of what was, arguably, the greatest hockey team in the history of the NHL. Coffey was drafted in 1980, sixth overall from the OHL’s Kitchener Rangers. Defencemen Dave Babych, Darren Veitch and Larry Murphy were all chosen before Coffey. Everyone knew Coffey was an offensive force. He played some forward and some defence in junior, but would become a defenceman exclusively in the NHL. When Coffey joined the Oilers, at 18 years old, they were beginning the tragic Bugsy-Watson-as-head-coach experiment in October of 1980. That lasted 18 games (of which the Oilers won four), before Slats fired his good buddy and returned to the bench himself. 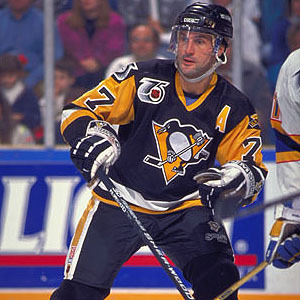 At about that time, Paul Coffey was becoming known as Paul ‘Cough-Up’ in Edmonton, for his propensity to give away the puck. In his tumultuous rookie season, Coffey scored nine goals, 32 points and had a +4 rating. Those numbers were not too bad on a team that only finished 16th in a 21-team NHL. The Oilers were growing and learning together. And Coffey was, by far, the best defenceman the Oilers had in their system. The next season, 1981-82, Coffey exploded. Slats gave him the green light to move the puck. And, boy, did he ever. Over the next six years in Edmonton, Coffey scored exactly 200 goals, 637 points and had a +267 rating. And don’t forget the three Stanley Cup rings. Coffey and the Oilers seemed like a perfect match, and they were. 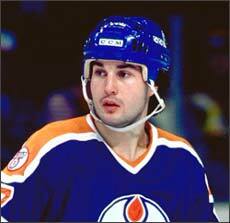 But it’s no secret that Oilers’ defenceman Paul Coffey and Glen Sather didn’t always see eye-to-eye. Like many creative geniuses, Coffey was very sensitive, and could be very insecure. Despite the fact that on April 2, 1986, Coffey broke Bobby’s Orr’s untouchable record for goals in one season by a defenceman, Paul required constant validation. Slats was not very generous that way. In the summer of 1987, after the Oilers had vanquished Mike Keenan’s Philadelphia Flyers in seven games to win their third Cup in four years, Coffey became the first of the Oilers’ superstars to state his dissatisfaction. When the Canada Cup ended, Coffey announced he would be holding out. He still had two years remaining on his contract, but wanted more than the reported $320,000 he was getting annually. You don’t have to know Glen Sather very well to know that he does not react well to being cornered. After two months of sitting, on November 24th, Coffey was sent to Mario Lemieux’, Eastern Conference Pittsburgh Penguins (a perfect fit for Coff) with Dave Hunter for Moe Mantha, Chris Joseph (who never came close to his potential), Dave Hannan and Craig Simpson (the real key to the deal). For Oilers’ fans, the deal was devastating. I remember Sather graciously doing a phoner for our Leafs’ telecast that night and explaining that the Coffey deal was just “business.” It was, but “business” seemed to have been something that the Oilers had managed to avoid for almost a decade. All they did was win Cups with guys who loved playing in Edmonton – and showed it every game, every shift, every goal celebration. Less than a year after Coffey left, Wayne Gretzky was gone to L.A. – and the true dynasty was over. Coffey’s appreciation by fans of the game has never been what it should. That’s probably because, after Pittsburgh, he seemingly bounced from team to team over the remainder of his NHL career. And it ended, in Boston, when Mike Keenan showed Coffey the door one day after practice. For my money, with his unmatched skating ability, Coffey is neck-and-neck with Bobby Orr when it comes to offensive skill. But that was never truly realized in Edmonton, because of what happened 23 years ago today. I was just thinking that you need to get a stats page up for Paul Coffey…other than Gretzky and Messier he was the biggest superstar the Oilers ever had…he’s at least ahead of Glenn Anderson.